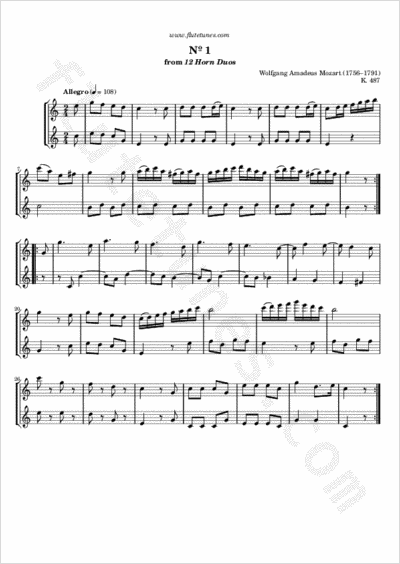 This Allegro is the first of Mozart's Twelve Duos for Horn, K. 487, which he composed in Vienna in 1786. They were probably intended for the basset horn, a wind instrument similar to the clarinet, but larger, in F (less often in G), and with a darker sound. Thanks to Chelsea for suggesting this piece!